Lovebytes are the perfect little added touch! 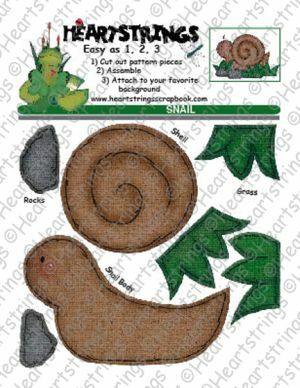 You can use them on scrapbook pages, gift tags, cards, gift bags, party favors and much, much more. 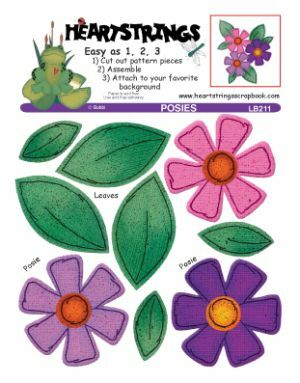 Mix and match our lovebytes and Heartstrings paper piecings to create your own unique pages. 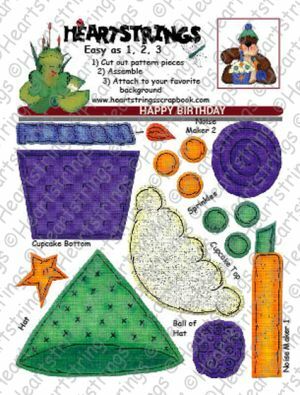 Purple cupcake holder, noisemaker and party hat coordinates with any of our critters. 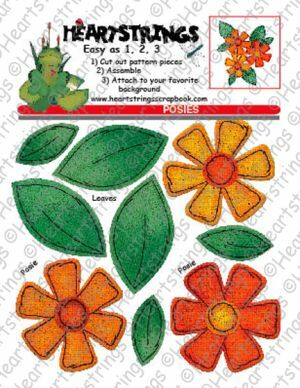 Dark and light orange flowers and a yellow one can brighten up your page. Creeping between the grass and rocks is this adorable little snail. 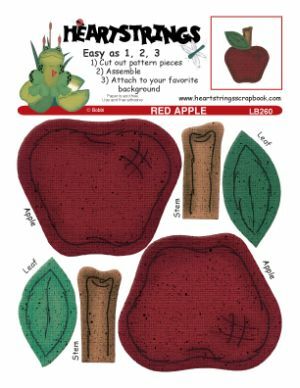 Use these two red apples with leaves & stems to create a unique apple themed scrapbook page. Perfect for that school trip to the apple orchard. 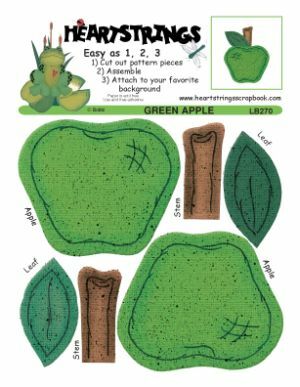 Use these two green apples with leaves & stems to create a unique apple themed scrapbook page, card or even a gift. I Like The Green Ones Sour Apples Pucker Up! 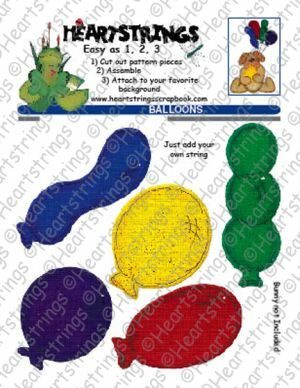 Here are five colorful balloons to add to your scrapbook pages. 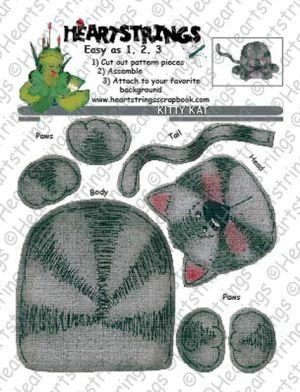 Pattern includes blanket pieces and pacifier in blue. Use with our critters. Pattern includes blanket pieces and pacifier in pink. Use with our critters. 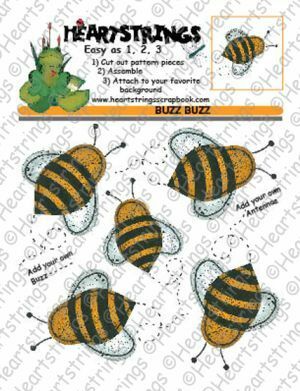 This pattern includes five bees. 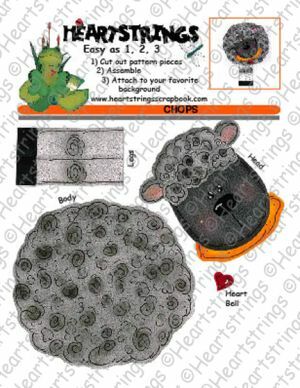 This cute little gray lamb can be used alone on your page or can be combined with our Country Living Cows pattern sheet. 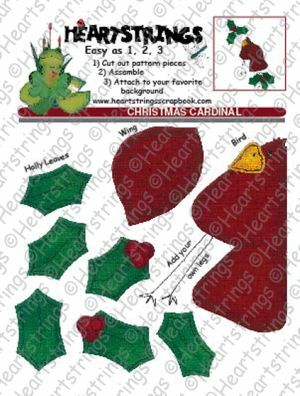 Try this lovely red cardinal and holly with berries for creating special Christmas pages or cards. Blue cupcake holder, noisemaker and party hat coordinates with any of our critters. This lovely gray striped kitty is purr-fection. 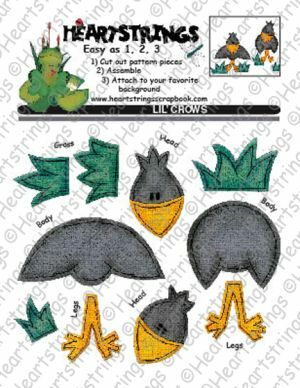 Two cute crows and grass pieces. 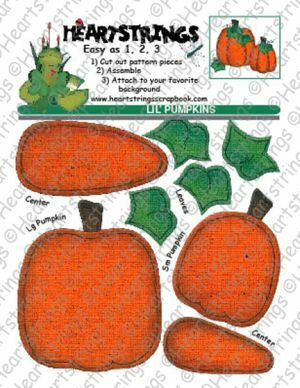 Two little pumpkins and leaves on this pattern sheet can be used alone or with many to create a colorful fall themed page. 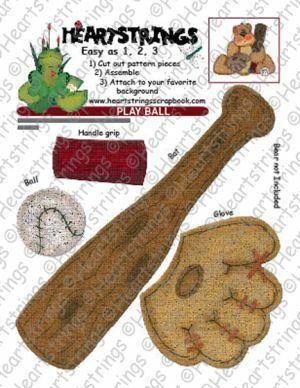 Display baseball photos on a page with this bat, ball and glove with or without one of our critters. Play Ball Little League Little Slugger Home Run Take Me Out To The Ballgame The Home Stretch Rookie All Star Hit & Run All Star In Training Playing The Field Who’s On First? 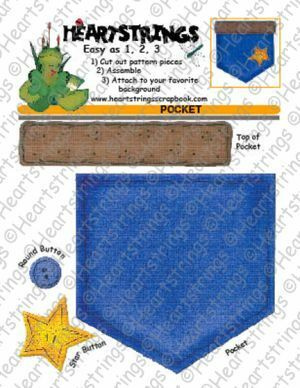 Use this little pocket to hold journaling tags or design a cute page with one of our critters peeking out of the pocket. Dark and light purple flowers and a pink one add a wonderful touch to any page.